These extremely potent .308 Winchester rounds from Fiocchi are an ideal choice for big game hunting at long distances. Each cartridge is made up from a non-corrosive Boxer primer affixed to a reloadable brass casing that carries a precise measure of high-energy propellant. 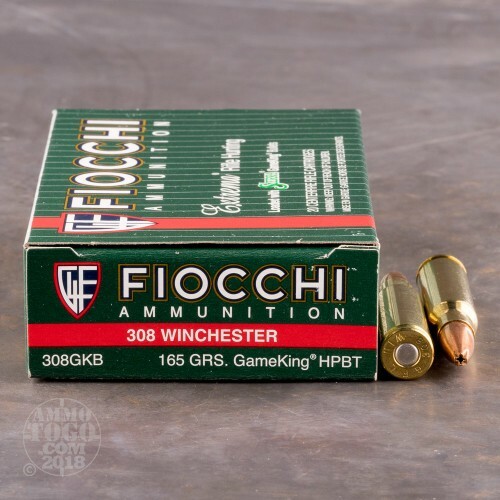 Atop the round is a 165 grain GameKing projectile which is manufactured by Sierra and was chosen by Fiocchi for its immaculate precision and proven performance. The GameKing bullet is a harder version of the famed MatchKing and features a boat-tail rear and hollow-point tip (BTHP) for ultimate drag resistance in flight. This contributes to ragged-hole accuracy that experienced hunters can count on when taking opportune shots. 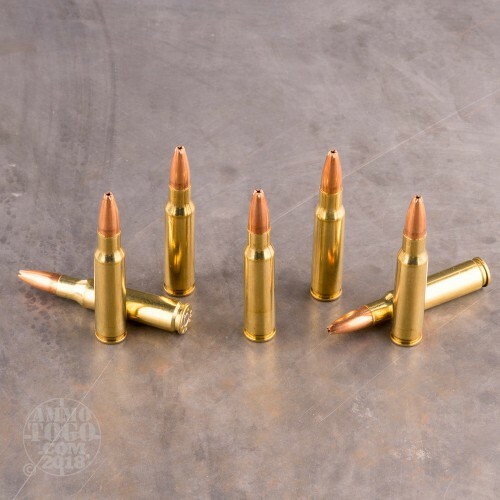 The 165 grain BTHP falls in the middle of .308 projectile weights and offers deep penetration, flat-shooting, and easily tamed recoil impulse. During entry into a target, the bullet will expand and deliver greater energy to vital organs without over-fragmenting and destroying precious, edible meat. 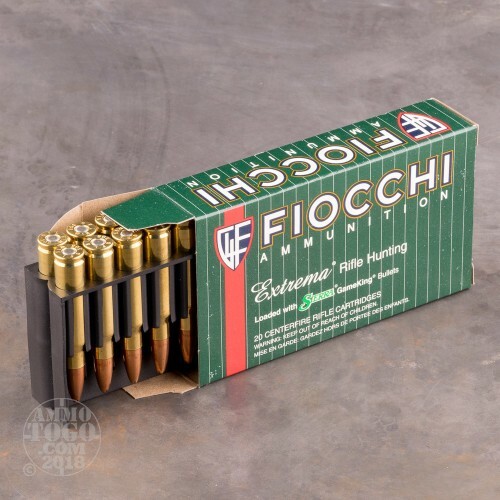 Fiocchi, an Italian manufacturer, produces most of their U.S. sold ammo at their Missouri plant using high grade, locally sourced components. 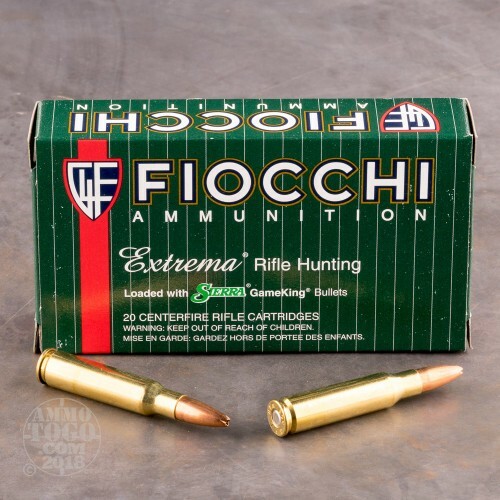 Their Extrema line places heavier emphasis on performance via stringent inspection criteria and proven projectile designs.